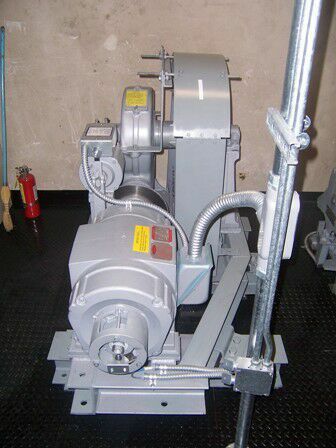 When modernizing, we frequently retain the hoist machine and refurbish it in place. Refurbishment can include the commutators being turned and undercut, bearings replaced, coils rewound; brakes cleaned, re-pinned, relined and adjusted, seals and lubricants replaced, and new brushes installed. However, sometimes it makes sense, due to equipment conditions and/or performance benefits, to replace the machine. When considering a modernization, we will assess the condition of your machine and make recommendations for refurbishment or replacement as required. We offer a complete line of quality machines from traditional geared to efficient and compact gearless with speeds up to 1,000 fpm. These machines offer an ultra smooth ride while providing energy conservation when combined with the latest technology in controls and drives.